Here’s where you’ll find out all about the latest doings in the world of this longtime comics writer, editor, educator and commentator, best known for his longtime stint as editor of MARVEL’S SPIDER-MAN COMICS LINE. 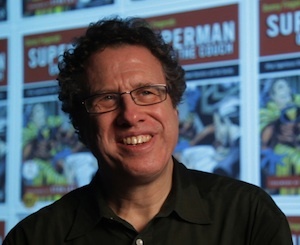 He’s the author of acclaimed books about comics including SUPERMAN ON THE COUCH, DISGUISED AS CLARK KENT, and THE ROUGH GUIDE TO GRAPHIC NOVELS. 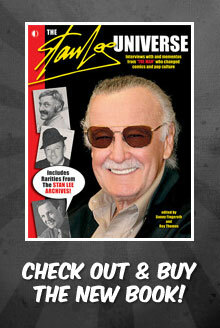 His newest book—co-edited with the legendary ROY THOMAS—is THE STAN LEE UNIVERSE, the ultimate repository of interviews with and mementos about The Man who co-created Spider-Man, the X-Men, and so many other immortal characters! And this site is where you now have the opportunity to STUDY COMICS & GRAPHIC NOVEL WRITING ONLINE with Danny, a seasoned professional whose comics sales total many MILLIONS OF COPIES. No matter where you live, you can learn from this acclaimed teacher! NEW ONLINE COMICS& GN WRITING COURSE STARTS NOVEMBER 5th! CLICK HERE FOR INFO.